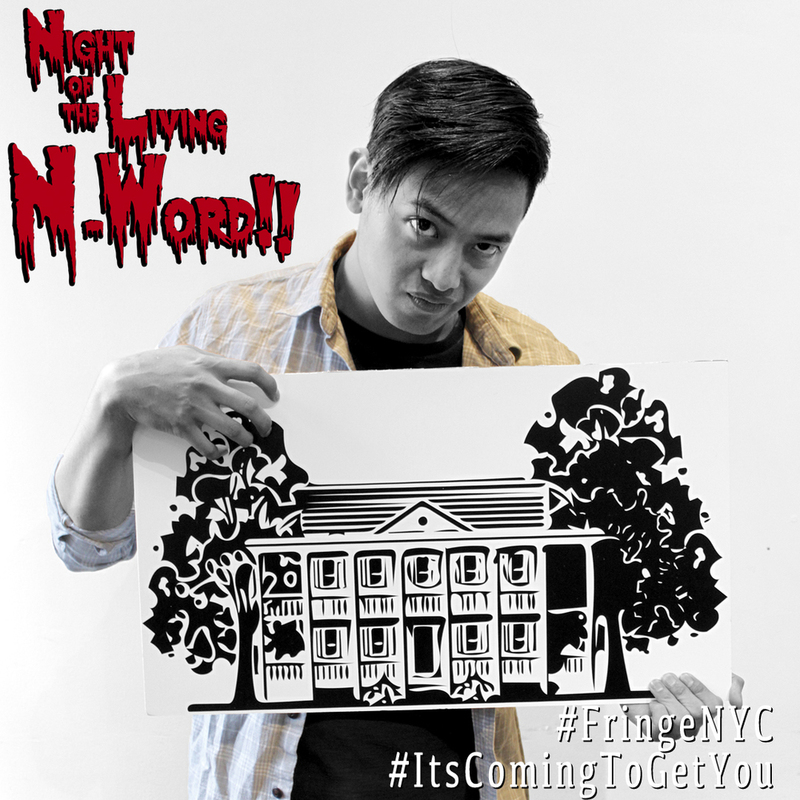 NIGHT OF THE LIVING N-WORD!! is a socially-relevant comedy with a sharp point. The play, a parody of the horror movies “Night of the Living Dead” and “April Fool’s Day” contributes to the conversation happening in and around black theater and the #BlackLivesMatter movement about police brutality and blackness under the white gaze. Read Kevin R. Free's thoughts on the play in an interview with Indie Theater Now. Read more of Kevin's thoughts in his interview with Theater in the Now. "FIVE STARS. Kevin R. Free masterfully takes on America’s original sin of racism in this genre-bending, highly entertaining tragicomedy... Although the play’s antic twists and reversals can leave one a little dizzy, Free knows exactly what he’s doing. The eloquence of his writing, the complexity of his plotting and his engagement with serious issues resonate into the night." “funny, provocative, . . . courageous, and timely. . . This New York International Fringe Festival production had the audience clapping and cheering loudly at the final curtain." "“Free gives us a post-Obama, but never post-racial, take on mixed race America, how society views mixed raced people and how they identify themselves. Free revives the debate about who can and can't say the n-word as well as the intergenerational divides between African Americans." Aaron Parker Fouhey (Channing) is a graduate of the Boston University School of Theatre and also studied classical acting at the London Academy of Music and Dramatic Arts. Aaron's New York Credits include the Pick Your Poison night of staged readings with the Pearl Theatre Company where he also understudied the Role of Waffles in their production of Uncle Vanya. A former member of the Bats acting company at the Flea Theater, Aaron performed in Christopher Oscar Peña's a cautionary tail along with several workshops and staged readings. Aaron also frequently performs in Shotz, the monthly short play festival produced by the Amios Theatre Company. He played the role of Toby in Dennis A. Allen II's Are you not entertained? which explored racial inequality through the lens of black face minstrelsy for the Bring a Weasel and a Pint of Your Own Blood Festival, where he first met and performed with playwright/actor/director Kevin R. Free. 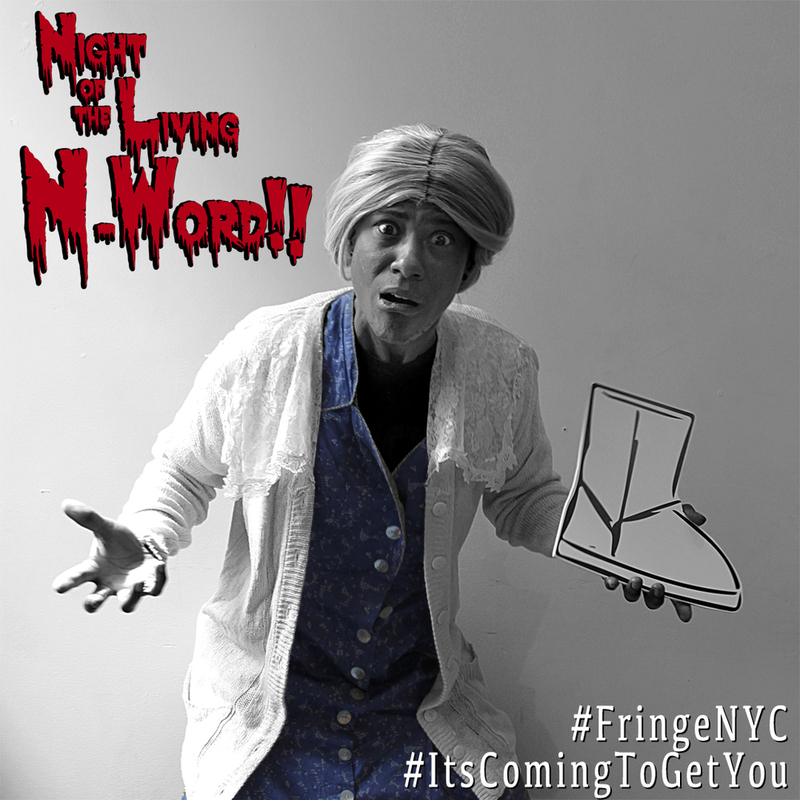 Aaron went on to play the role of Darius in Kevin R. Free's PORTAL, or Metaphorical Tricycle for the Fire This Time Festival, and also read the part of Channing in a staged reading of Night of the living N-word at the National Black Theater in Harlem. Regionally, Aaron performed in the ensemble and understudied several roles in the Huntington Theatre Company's production of A Civil War Christmas, written by Paula Vogel and directed by Jessica Thebus. He also understudied several roles in the Huntington Theatre Company's production of They Cry of the Reed. Romeo Lacondola (Romeo) is excited to work with Kevin R. Free again after having done 'How 'FRIENDS' Ruins Friends'. He is an alumni of the William Esper Studio and currently does improv at Kimball Studio. Recent credits include 'Edith can Shoot Things and Hit Them', and commercial work for Mountain Dew, UNICEF: #ReplyForAll, Google, and Food Network. Stanley Wayne Mathis* (Clayton) was most recently see as Mafala Hatimimbi in The Book of Mormon. Broadway: Nice Work If You Can Get It; Wonderful Town; Kiss Me, Kate; You’re A Good Man, Charlie Brown; The Lion King; Jelly’s Last Jam; Oh, Kay!. Off-Broadway: ResurGents: The Reappearance of Hope; Real Black Men Don’t Sit Crosslegged on the Floor; City Center’s St. Louis Woman. Regional: Ruined; Radio Golf; Gem of the Ocean; Fences; “Master Harold”…and the Boys; Blues for an Alabama Sky; and Cinderella. TV: 2-2, Criminal Intent, Late Night With Conan O’Brien. Film: Brother to Brother, Family on Board, Steve McQueen’s Shame. T. Thompson (Jinny) is a Brooklyn based performer. They most recently performed in the world premiere of The Messiah Complex (Nia Witherspoon), in the title role at BRIC Arts Media. Other credits include the OBIE award winning Fire This Time Festival plays Slavesperience (Stacey Rose), Time in the Penn (Keelay Gibson), and You Mine (Nia Witherspoon). As a member of the Hotel Savant Theatre Co., their roles include Dryope in Men Go Down- Part 3 (PS 122) and Alas, the Nymphs… (BAM Next Wave Festival 2015), and Fury #2 in Funeral Games (The Public Theater). T has also collaborated with Michelle Matlock (OVO), Lee Frisari (Sez.me) and Becca Blackwell (They,Themself, and Schmerm), on an exploration of gender, race and punk rock in the piece Sum of Us at (Dixon Place), with their band Inner Princess. Nicole A. Watson (Director) Recent credits include, Our Lady of Kibeho (Smith), Joe Turner’s Come and Gone (UNSCA), the Fire this time festival, Twelfth Night (Long Island University), and The Mountaintop (Kitchen Theatre Company). Nicole directed the world premiere of Johnna Adams’ World Builders at the Contemporary American Theater Festival and she was a 2015 Artist-in-Residence at the Drama League. She is, a member of the New Georges’ Jam, a 2013 Drama League Fall Fellow, the 2011 recipient of the League of Professional Theatre Women’s Josephine Abady Award, and an alum of both the Lincoln Center Directors Lab and the Women’s Project Directors Lab. She also teaches at NYU’s Tisch School of the Arts. BA, Yale. MA, NYU. Lauren Parrish (Lighting Designer) holds a B.A. in Dance from Sarah Lawrence College, where she graduated in 2007. She has been the production stage manager for Battleworks Dance Company, KEIGWIN + COMPANY, Susan Marshall & Company, BODYTRAFFIC, Youth America Grand Prix at the David H. Koch Theater at Lincoln Center and others. She recently lit American Repertory Ballet’s Firebird at McCarter Theater Center. Lauren is the Production Manager/Lighting Designer for DanceNOW NYC and the Production Manager for American Repertory Ballet. In the next year, she looks forward to a new DanceNOW premiere in collaboration with Larry Keigwin and Nicole Wolcott and helping to create American Repertory Ballet’s newest evening-length work, Pride and Prejudice. Lauren is thrilled to be working with MyCarl Productions. She lives in Brooklyn, but you can find her online at www.laurenparrish.com. Carl Riehl (Sound Designer) studied piano and music theory and composition at Oberlin College. Prior sound design credits include Leah In Vegas (Fringe), Lord’s Resistance (The Fire This Time) and the 2014 The Fire This Time festival. He composed the musicals Laika Dog In Space, You Are In An Open Field, and The Architecture of Sight; is currently appearing on accordion in An American In Paris; and was recently the accordionist in The Blue Flower (Second Stage), Hershele Ostropolyer (National Yiddish Theater), and the movie The Immigrant. Joshua Coakley (Properties Designer) has spent most of his career working on props for such shows as the Tony Award winners The Color Purple, and Fun Home. He is currently running props on Broadway for Paramour at the Lyric Theatre. Josh is excited to be a part of N-Word!! and hopes never to have to type the word N****R into a search engine again. Dan Renkin (Fight Coach) has choreographed and performed fights with everything from wheelchairs to axe handles, from Broadway (Chitty with Tony recipient B.H. Barry) to As The World Turns to the Metropolitan Opera. Recent: R&J&Z, Dex: A Killer Musical, Monte Cristo, West Side Story, The Night Alive, and Douglas Carter Beane's Robin Hood. Clarissa Marie Ligon (Stage Manager) is a full-time student at Brooklyn College studying Theater Production. Self-proclaimed 'Renaissance Woman', Clarissa has done it all: from stage managing to costume and lighting design to producing and directing to her first love, performance art. Clarissa's ultimate goal is to combine her many talents into something that will allow her to give back while continuing to do what she loves most, sharing herself through her craft. Past productions include: Harper Regan, V-Day Taconic 2016, When We Wake Up Dead, Middletown, Rachel, The Death of Bessie Smith, and Recess. Clara Antonia Reyes (Production Manager) is the Program Manager at ENACT, Inc., a nonprofit organization that provides social and emotional services to NYC public school children. Recently, she was the Asst. Director on Peter and the Starcatcher at the Sharon Playhouse in Sharon, Connecticut. She also works at Broadway Training Center in Westchester, NY, and educational theater company. She wants to thank Kev and Eev for the opportunity to help on this amazing piece. Kampfire PR (Lead Producer) was instrumental in the launch of the Broadway musical Brooklyn and the National Tour of Mother Load. Kampfire has been integral in multidimensional campaigns for New York Innovative Theatre Award Recipients, GLAAD Award winners, back-to-back NYMF Best of Fest winners, and Drama Desk nominees. In 2014, Kampfire launched Stage17.tv, a digital entertainment destination for episodic fiction and reality programming for the world’s largest stage—the Internet. Kampfire clients include: The Actor’s Temple, Astoria Performing Arts Center, Axs Group, Black Box Studios, Firebone Theatre, Gemma & The Bear, The League of Professional Theater Women, Manhattan Theatre Works, Music Celebrations International, New York Innovative Theatre Awards, New York Neo-Futurists, and Purchase Performing Arts Center. www.kampfirefilmspr.com. Isaiah Tanenbaum (Producer) is a photographer specializing in theatrical productions, headshots, and events. Clients have included Epic Theatre Ensemble, Boomerang, NY Theatre Workshop, the Ernst & Young Awards, and dozens of actors, models, and dancers. He is a creative partner and Marketing Director of Flux Theatre Ensemble and has appeared as an actor in twelve Flux productions, most recently as the title role in Tartuffe. His film roles include Stateside, Zelimo, and Troma’s Poultrygeist. A graduate of Amherst College, Isaiah lives in Brooklyn with his wife Jessa and their cat, Juno. AEA & SAG-AFTRA. isaiahtpd.info (photography) // isaiaht.info (acting).